It goes without saying that items with greater sentimental and monetary value should receive a considerable amount of extra care and attention when going into storage. Having an accurate overall idea of what the total value of your storage unit is worth on paper, both for insurance and personal purposes, is peace of mind. If you watch shows like “Storage Wars,” it is always amazing to see some of the items people encounter in abandoned storage units. Heirlooms that have been in families for generations with tremendous market, not to mention, sentimental value, one-of-a-kind antiques that previous owners may not have even known where there or just how special they were, collector items that had been passing off a junk in someone’s attic for years, the list goes on. Often, these items are stored haphazardly, unprotected and with very little care. Exposed to the elements, time, dust and moisture, something that went into storage as a priceless, or at the very least, pricy, antique or family jewel can rapidly lose value and just plain fall apart if the owner of a storage space doesn’t know, or doesn’t care they’re there. 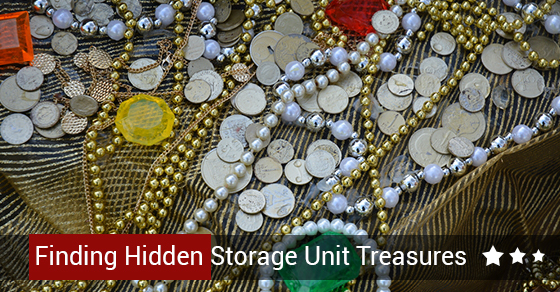 An inventory of a storage unit, especially an inherited one that the current owner may not have fully inspected upon acquiring, is invaluable in protecting the structural integrity and monetary value of things like rare, antique furniture. Taking the time to account for each and every piece of furniture, box and covered mystery in your unit, as tedious as the task may seem, is extremely important. Accidents and natural disasters happen and in addition to knowing what the total dollar value of your unit is for your own personal financial reasons, it is important to have some form of documentation (photo documentation in addition to written would be ideal) that you can present to an insurance company if your belongings are damaged by the elements. If you end up sorting through your unit or boxes that haven’t been thoroughly inspected before storing and find something you think might possess either significant value to your family or anyone else, have the item appraised, and at the very least make a note of it. If you plan on storing belongings over a long period of time, knowing what you are storing and more importantly, how it should be stored will pay dividends in the long run. You never know when you may need to access something for a long lost family member who remembers a grandmother who passed down a 200 year old desk, or a cousin who mentioned a box you recall putting into storage that contained a collection of rare circa 1940’s New York Yankee mint condition baseball cards.